And the roads were paved with …. When you visit somewhere new your eyes tend to focus upwards at the architecture around you which gives you a flavour of the history, style, and beauty (or otherwise) or a place. This is of course perfectly natural but perhaps taking the time to focus down at the ground under your feet provides another interesting sense of place as after all the buildings around you are built from the ground up so perhaps the ground can also tell a story. I started thinking about this as I walked up the main shopping street in Malaga recently and became aware of the smoothness of the surface, looking down I noticed that the street was made up of the most beautifully polished stone flags, so smooth they were almost marble like. 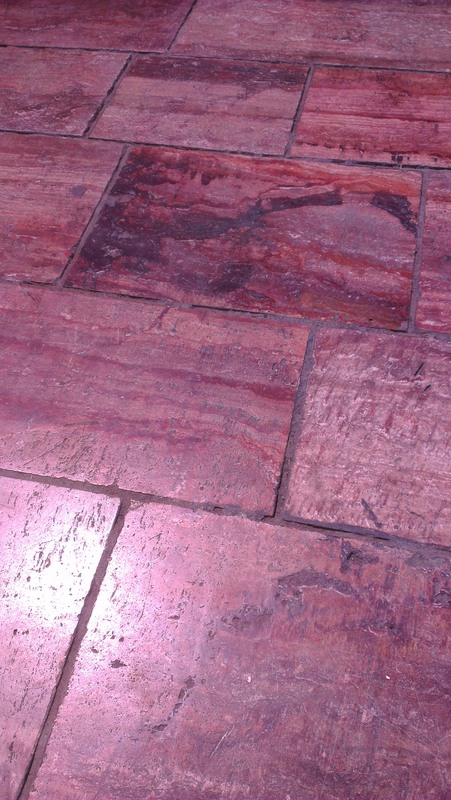 For me this gave the whole street a real feeling of decadence, then at the end of the street as I walked into Constitution Square I noticed the paving changing to sumptuous burnt red that was so inviting I slipped my shoes off to feel the smoothness and warmth on my feet. Now I’ve never done this before but they just looked so inviting to walk on and they were spotlessly clean as I found out they they are all hosed down each morning (creating a very slippy surface for a short while if you happen to be up). The more I walked around the city the more I started to notice the different stone patterns, all carefully selected and laid out. There seemed to be a real history to this as underneath the Picasso museum there are some small remains from the Phoenician times and you can see careful stonework making up the street which is replicated through to the Roman and Moorish remains around the city. This trend appears to have carried through to the modern day and it made my think that anywhere that takes this much care over where we place our feet has got something going for it. Have a look around your own area next time you are walking around and see what the paving etc might tell you. Beautiful paving that has stood the test of time and traffic! I love the different patterns and designs! Thank you for sharing these.